*Access to the Little Rock Picture Show Opening Night. *Preferred seating at all Little Rock Picture Show screenings. *Exclusive prints from convention guests! *30 min early access to the show floor and convention guests! Kids under 12 FREE with an Adult! Our 2016 Show, back at the Statehouse Convention Center now with even more artists, guests, vendors, gaming, panels, and entertainment! 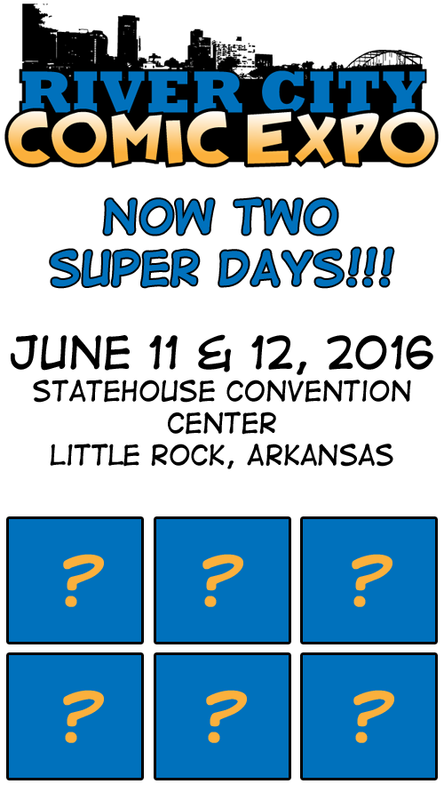 Now with 100% MORE Little Rock Picture Show! 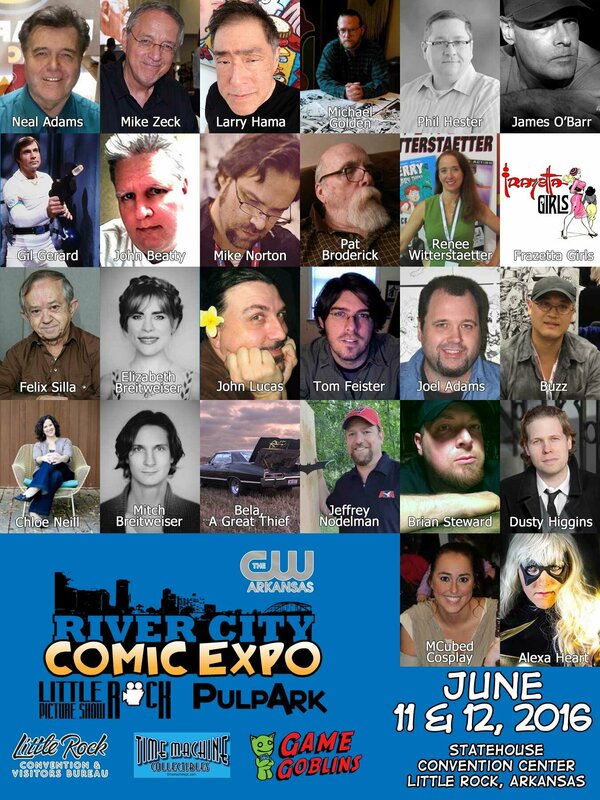 Arkansas’ Premiere Fantasy, Sci-Fi, and Horror Film Festival, has merged with River City Comic Expo to bring you the biggest and best entertainment convention in the Mid-South! Tickets will be available at the door. Or you can pre-order today with Eventbrite. As always, Kids under 12 are free with an adult! Children must have a ticket for admission. 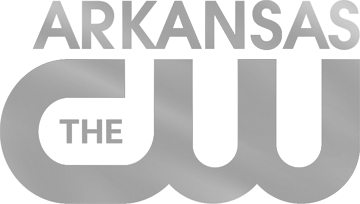 Little Rock Picture Show Joins RCCE! 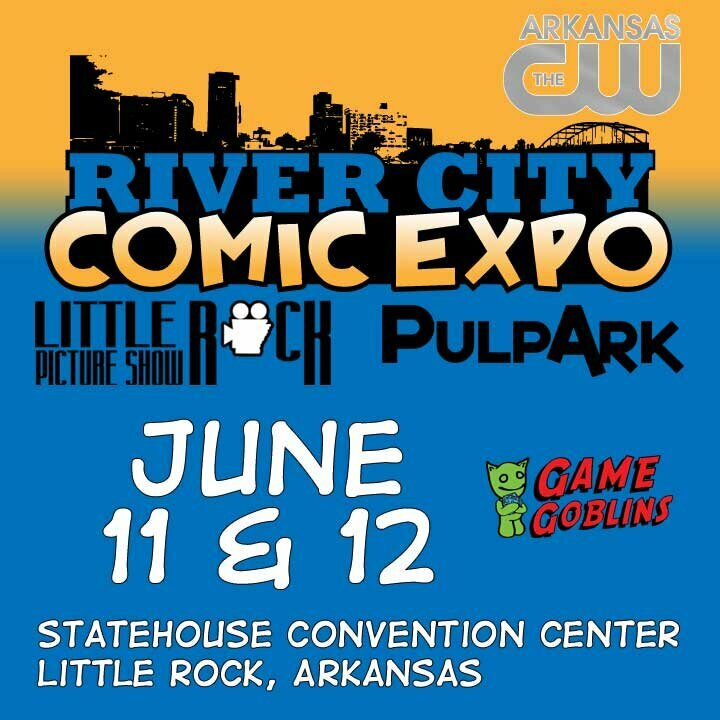 River City Comic Expo is proud to announce that Little Rock Picture Show, has become a part of the festivities! The Little Rock Picture Show presents the very best in short and feature length horror, sci-fi, and fantasy films in the world. Now attendees will have access to the best in horror, sci-fi, and fantasy as a part of RCCE admission. Guest announcements coming on November 16th!